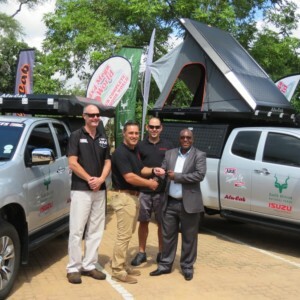 Alu-Cab is delighted to announce a two-year sponsorship with SanParks and their Lebombo trail, a trail that is a 5-day (4 night) outdoor adventure spanning a great part of the Kruger National Park. 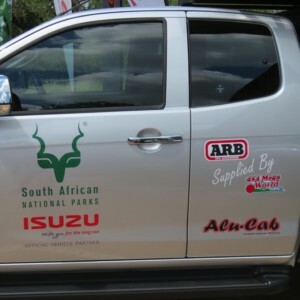 Alu-Cab has had the opportunity to equip the guide vehicles with our reliable and trusted Alu-Cab gear. 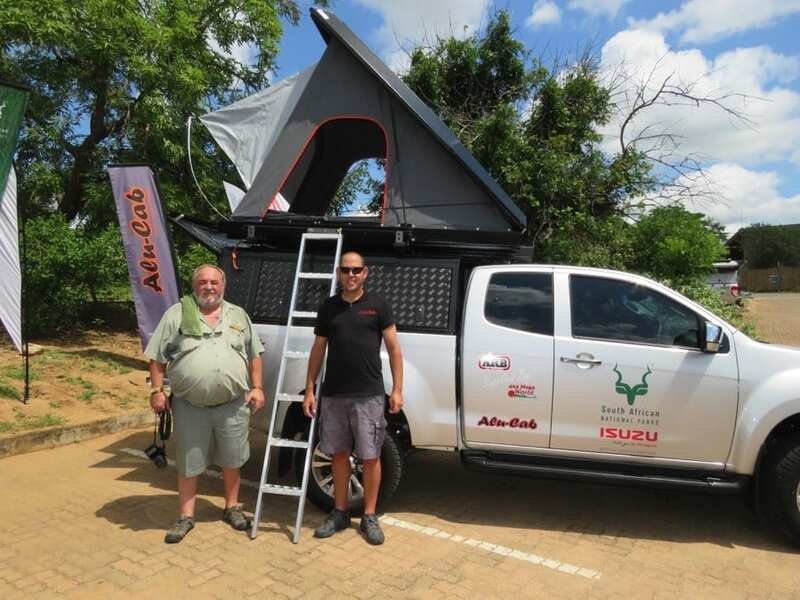 The tour guides will now be able to sleep in comfort in our Generation 3 Roof Top Tent, use our Shadow Awning, Alu-Table and fully kitted kitchen on those pit stops as well as store away necessary equipment in their recovery cupboard and double drawer system. 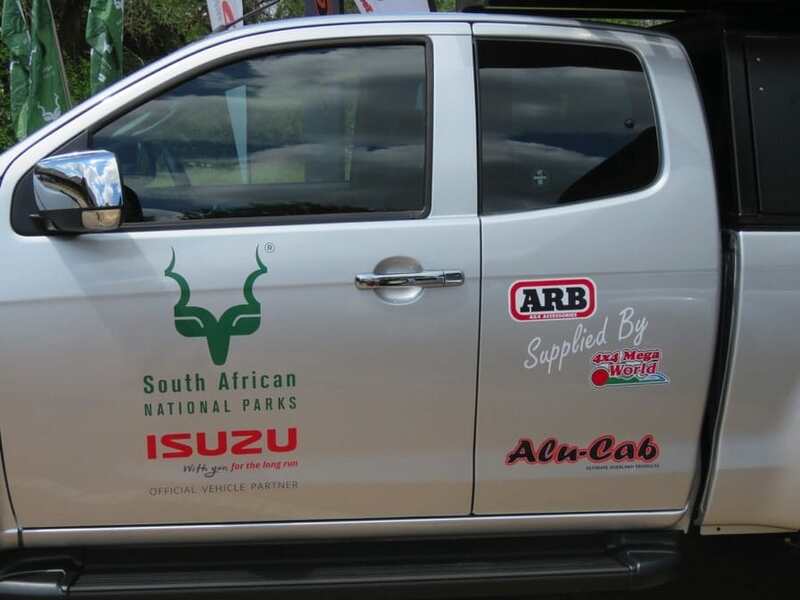 Also supporting the sponsorship is the official vehicle sponsor Isuzu and associated sponsor 4x4MegaWorld. We are thrilled to be working with such innovative and committed organisations. 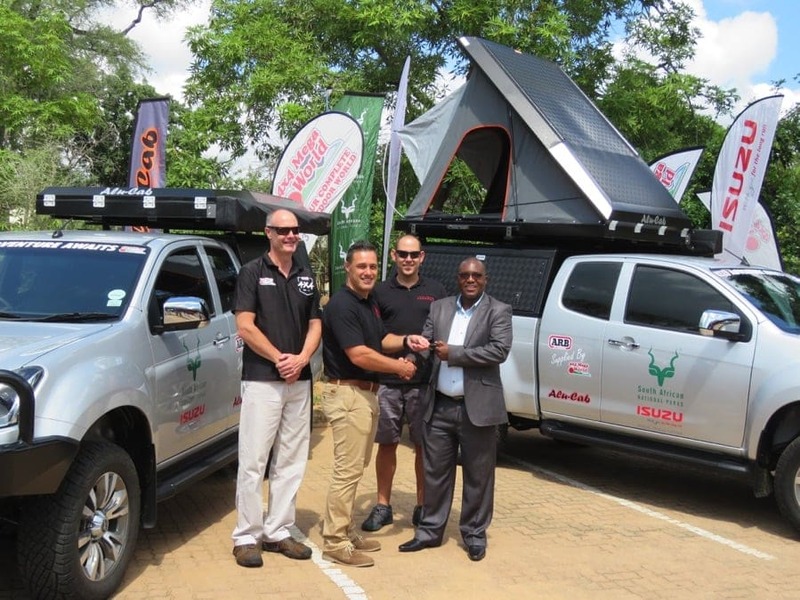 There is an incredibly strong alignment between our brands to the commitment of promoting overlanding, travel and conservation. 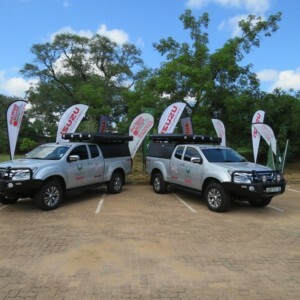 The Lebombo trail sponsorship is a great fit with our brand. As a brand we strive to have fun, enjoy amazing adventures outdoors all while supporting our National Parks, with whom we are able to share our adventures with. 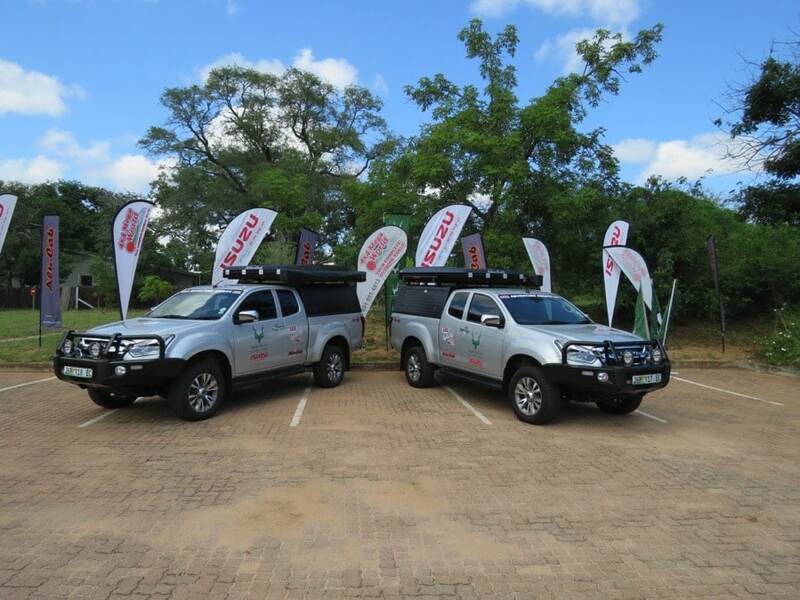 This trail is rated as the best eco-trail in Southern Africa due to the diversity of the fauna and flora encountered en route. 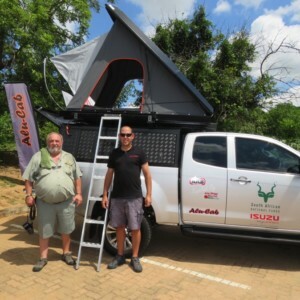 Called the “wilderness experience on wheels”, the Overland trail follows the eastern boundary of the Kruger National Park along the Lebombo hills from the extreme South to the extreme North. Experienced, professional guides act as trail leaders and will interpret the various ecozones the trail crosses, at regular intervals. We look forward to nurturing a great relationship in the years to come.